Ursula Biskup’s tutu series uses combines the finest silver weaving to create three-dimensional structures. The lightness and flexibility of the material makes it ideal for creating wearable and comfortable earrings or necklaces. Up to ten strands are manipulated using precise, mathematical rules. The resulting work is nonetheless always very “natural”, flowing, soft, graceful and weightless. The Lampion (Lantern) pieces define transparent space by means of thin gold strips. 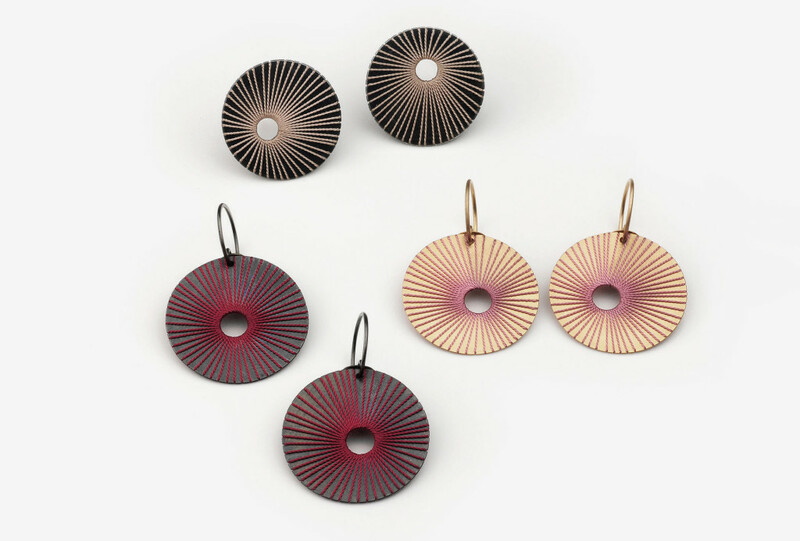 The designer explains, “This is also the expression of my reduced, minimalist design aesthetic” and is a fine example of how she has successfully created lightweight, large scale, spectacular earrings. Ursula Biskup received the North Rhine-Westphalia State Award for Applied Arts in 1997.